PRICE REDUCTION! 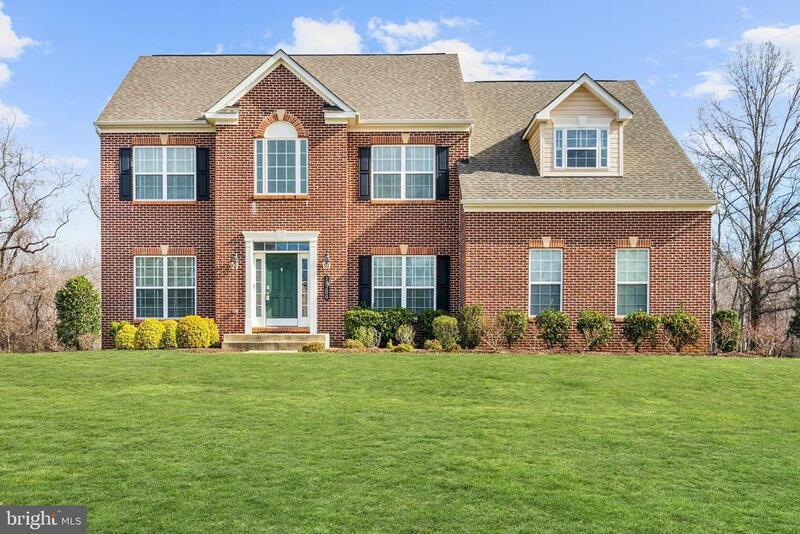 Gorgeous contemporary/colonial home in sought out Piscataway Heights Community. This beautiful home boast of 4, 212 total sq. ft, 4 bedrooms with a potential 5th bedroom in basement, 3.5 bathrooms, office/study, 2 car garage, gourmet eat-in kitchen with island, stainless steel appliances, built-in oven and microwave, 4 burner gas cooktop, step down into a cozy rec room with gas fireplace and built-in speakers, 2 story foyer, 9 ft ceilings, laundry nook on bedroom level, magnificent size master bedroom suite with sitting area, contemporary style master bathroom with two shower heads and shower seating area, 3 sizable bedrooms, great entertainment space in basement with 2 insulated bonus rooms~one can be converted into another bedroom, the second can be a theatre room, studio, pool room, gym, workshop, etc, Trex deck with deck floor lighting, great landscaping with brick walkway, flat backyard lot and much more! Directions: Rt 95 South - Exit 7A-7B to MD 5 S Branch Avenue towards Waldorf, R-Brandywine Rd, L-Floral Park Rd, R-Arya Dr...home located on right.